The local derby between FC Barcelona and RCD Espanyol is the most important match between Catalonia’s most emblematic clubs. Since their founding more than a century ago, the rivalry between these two teams has made their games so much more than a simple football match, with the city of Barcelona passionately savouring one of LaLiga’s classic matchups. FC Barcelona was founded in 1899, and RCD Espanyol one year later, in 1900. As such, more than 115 years of derby history has been written, with successes, failures and disappointments on each side of the divide, with football always as the main protagonist and two communities of supporters anxiously awaiting each of the derby games in this Mediterranean city. Between these two historic clubs are many prominent players, both Spanish and international, who have represented their colours; a select few have even represented both. Currently, the two teams have world-class footballers, including Leo Messi, Luis Suárez, Paulinho, Sergio Busquets, Andrés Iniesta and Marc-André Ter Stegen for FC Barcelona, who are coached by Ernesto Valverde (who during his career has also managed and played for both). As for RCD Espanyol, players such as Diego López, Sergio Sánchez, Víctor Sánchez, Gerard Moreno, Léo Baptistão, Esteban Granero or Sergio García highlight a strong blue and white squad.While both clubs’ current situation is indeed noteworthy, their history makes them even more important, as each has been a home to some of the best players and managers in the history of world football. When you speak about the modern history of FC Barcelona, you cannot fail to mention or speak of the house that Johan Cruyff built there. The Dutch international arrived at the club in 1973 and defended FC Barcelona’s colours as a player until 1978. During this period, he won a league title and two Ballon d’Ors. Later, he would become the club’s manager, from 1988 to 1996. This would prove to be an unforgettable period in FC Barcelona’s history, and above all, for the European Cup conquered at London’s Wembley Stadium in 1992 vs. Sampdoria, with a goal in the 11th minute of extra time from another Dutch legend, Ronald Koeman. In addition, Cruyff will always be remembered for his team’s style of play. Since the moment of his arrival he implemented the same system for FC Barcelona’s first team and all of the club’s youth sides, allowing a smoother transition for players who worked their way up to the senior team.In addition to Cruyff, a long list of internationally renowned figures will be forever associated with FC Barcelona, including: Gamper, Alcántara, Ramallets, Kubala, Suárez, Rexach, Asensi, Neeskens, Quini, Schuster, Maradona, Guardiola, Stoichkov, Romario, Ronaldo, Ronaldinho, Rivaldo, Puyol, Xavi, Guardiola, Iniesta and Messi. By the same token, RCD Espanyol boasts its own roll-call of legendary players, including: Zamora, Solsona, Marañón, N’Kono, Lauridsen, de la Peña and Tamudo. Special mention is reserved for Dani Jarque, the club’s former captain who passed away in 2009 at the age of just 26, while participating with the club in preseason training in Italy.Among these two great LaLiga sides, FC Barcelona’s achievements stand out, not just in a Spanish-football context, but on the international stage as well. 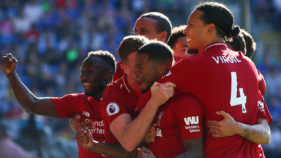 The club has won 24 LaLiga titles, 24 Copa del Reys, 12 Spanish Supercopas, five European Championships, five European Super cups, four titles of the European Cup Winners Cup, three Inter-Cities Fairs Cups and three Club World Cup titles. For its part, RCD Espanyol has won three editions of the Copa del Rey and has played in two UEFA Cup finals, in 1988 and 2007, losing both on penalty shootouts to Bayer Leverkusen and Sevilla FC, respectively. 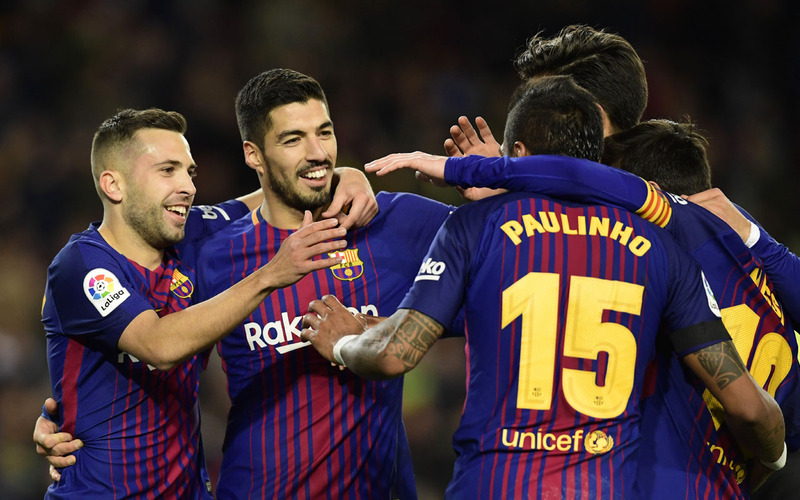 With so much history, the derby between FC Barcelona and RCD Espanyol has left many eye-catching statistics and anecdotes.